This challenge features nautical colors to inspire you — Cherry Crisp, Blu Raspberry, Cornflower, and After Midnight. 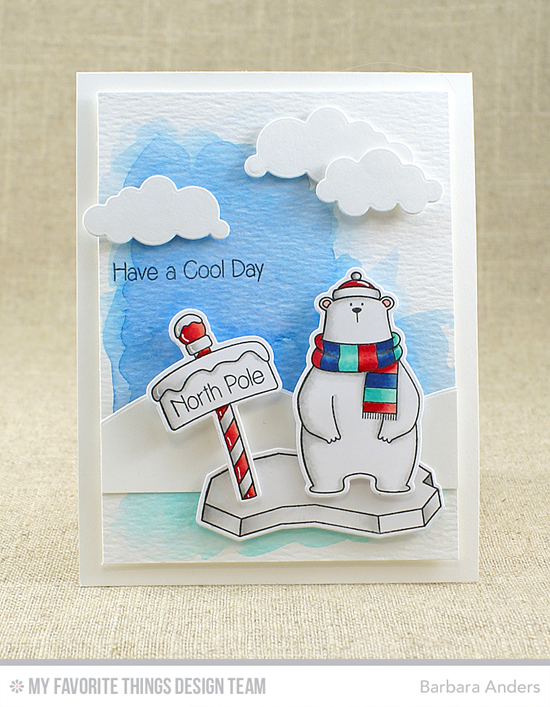 It's Christmas in July on Barbara's card which in corporates the adorbs bear from the Cool Day stamp set. How dapper does his scarf look in this color palette? Barbara's expert use of watercolors always makes for a really cool looking sky. 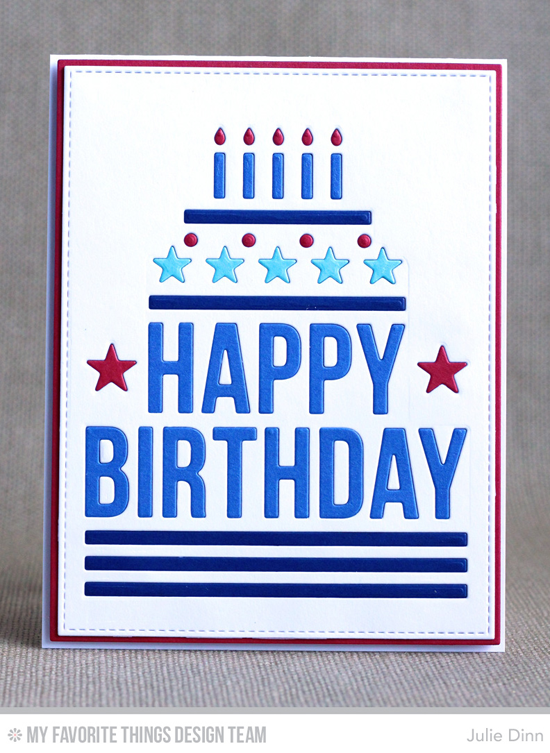 Three Die-namics sets and 5 colors of card stock is all it took for Julie to create this happy, happy card! And this color combination knocks it out of the park! Joy is brand new to our team and doesn't have the exact colors of this challenge, but that didn't stop her from participating! Remember, just match as closely as you can. We are thrilled to have you participate! 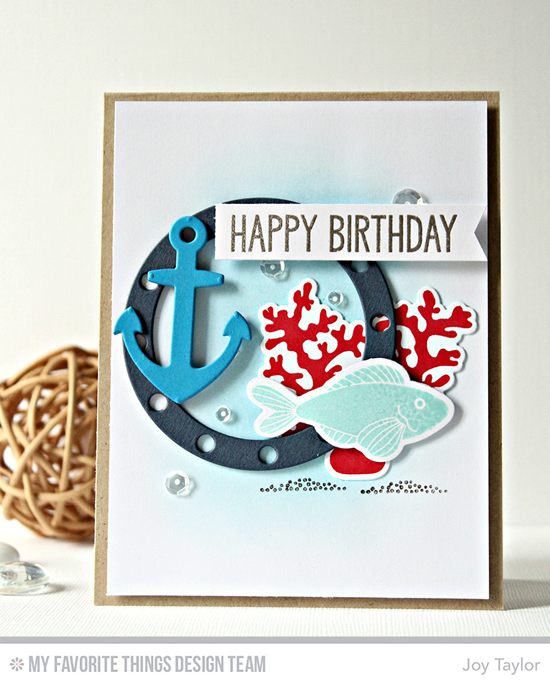 Joy brings a nautical scene to life with the Let's Get Nautical and Sea Life stamp set and Die-namics with this color combo. 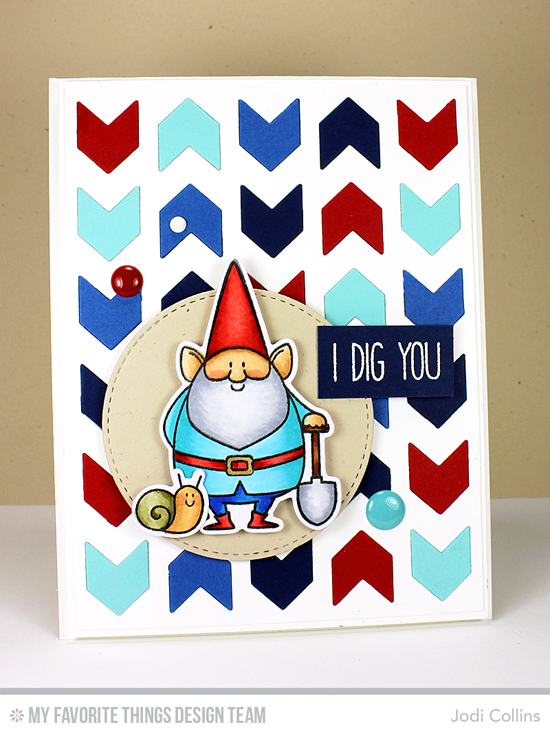 A merry gnome in a cheery Cherry Crisp hat is a super cute use of this color combination. Jodi gave him all sorts of extra pizzazz with the Chunky Chevron Cover-Up Die-namics in the four colors as a trendy backdrop. Congratulations, Blooming Ideas! You are the randomly selected winner of the MFT Color Challenge. You can view all the entries from the last challenge HERE. You have until Wednesday, July 27th, at noon EDT to add your link and be eligible for the prize of up to $20 in MFT Cash. Winners are chosen at random, so everyone has a chance! The prize is a $15 Gift Voucher to My Favorite Things, but if you use MFT stamps and/or dies in your project, you’ll receive an extra $5. Thank You so much! I am beyond thrilled to be the randomly selected winner!